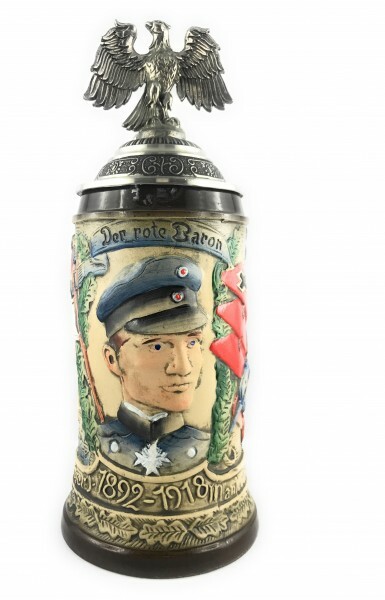 Product information "Red Baron beer stein"
Red Baron collectible beer stein with antik style of painting. On the top you find the old german pewter eagle. Don't miss out on this stein for your authentic german beer stein collection. Related links to "Red Baron beer stein"
Customer evaluation for "Red Baron beer stein"